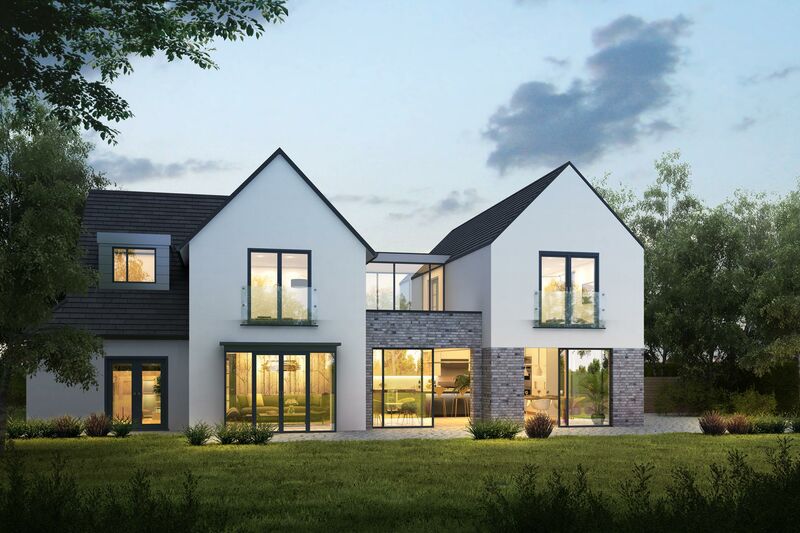 Artform Architects were appointed by this private client to create a modern, contemporary addition to their detached house in Macclesfield, Cheshire. 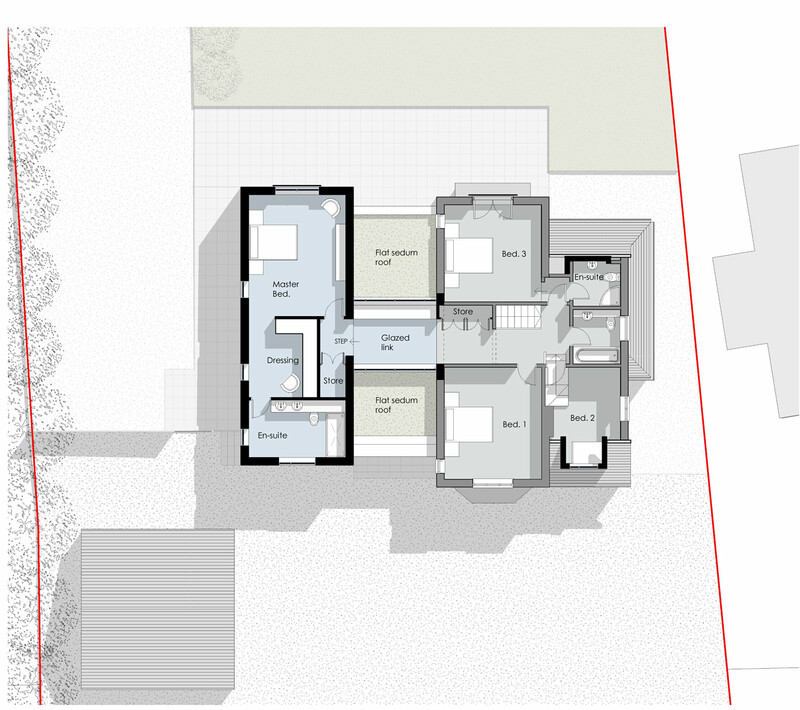 The existing property is a characterful brick house but with a layout that does not work for a growing, modern family. 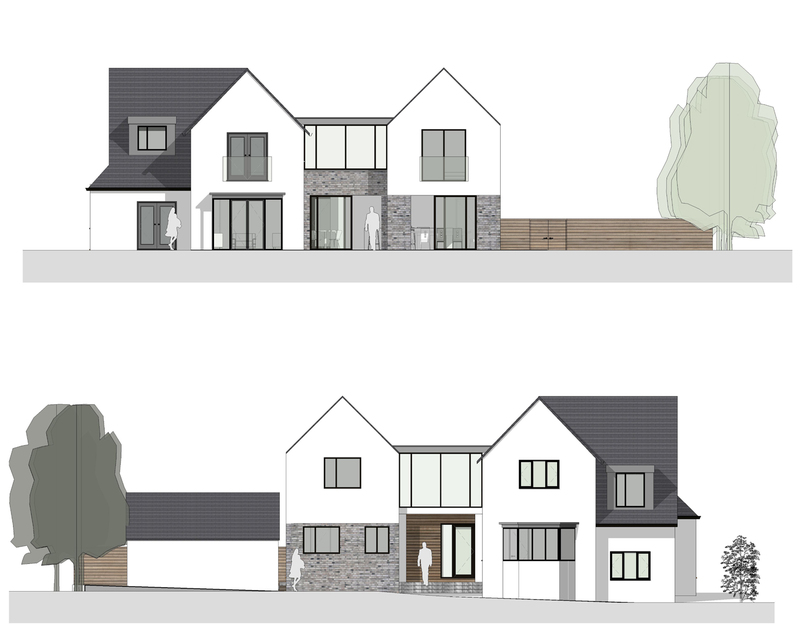 The proposed design we arrived at was for a two storey side extension that is connected back to the existing house via a single storey element at ground floor and a glass link at first floor. This helps differentiate the old house and the new addition. 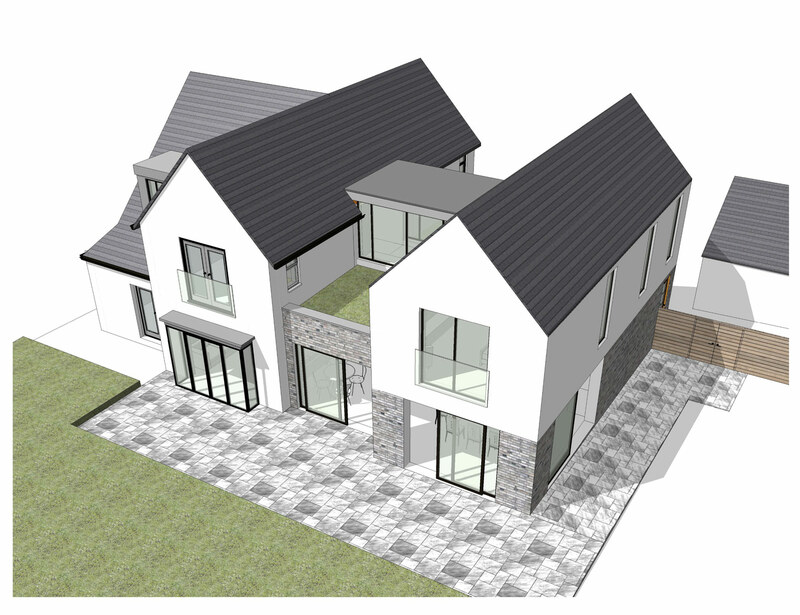 The form and proportions of the two storey addition mirror that of the original house so the design works holistically without being detrimental to the original architecture. A large open-plan kitchen, dining and living space forms the hub of the house and can open up and spill out onto the rear garden. This is supported by adjacent ancillary space and a new Master suite above. 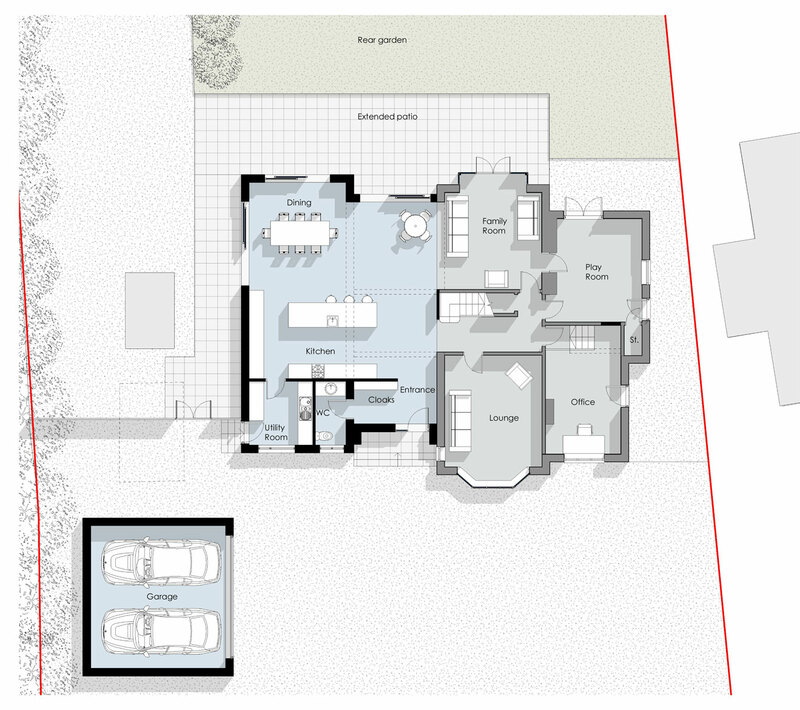 A new entrance hall and detached garage were also added. Grey brickwork and white render form a crisp, distinctive aesthetic to the new facades.